This is the perfect destination for those who are considering Renting Property in Agra, Delhi, or NCR. We get queries regarding Rental Properties in Agra, Delhi, or NCR from all parts of the world. The company is in a position to execute Renting Property Deals in a hassle-free and speedy manner. We offer professional Renting Property Services for Residential, Commercial, Industrial, and Agricultural Properties in Agra, Delhi, and NCR. We also promote the Rental Property offers of the clients in the Real Estate Sector for increasing the number of interested parties. This also gives a hike to the value of rent amount. The company endeavors to get Renting Property Deals fixed at a large security amount in the interest of the Property Owner. We also offer to develop Rent Agreements as per the mutual consent of both the parties. 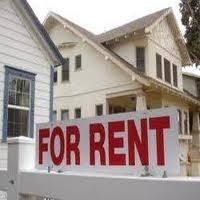 We charge nominally for Renting Property Services.